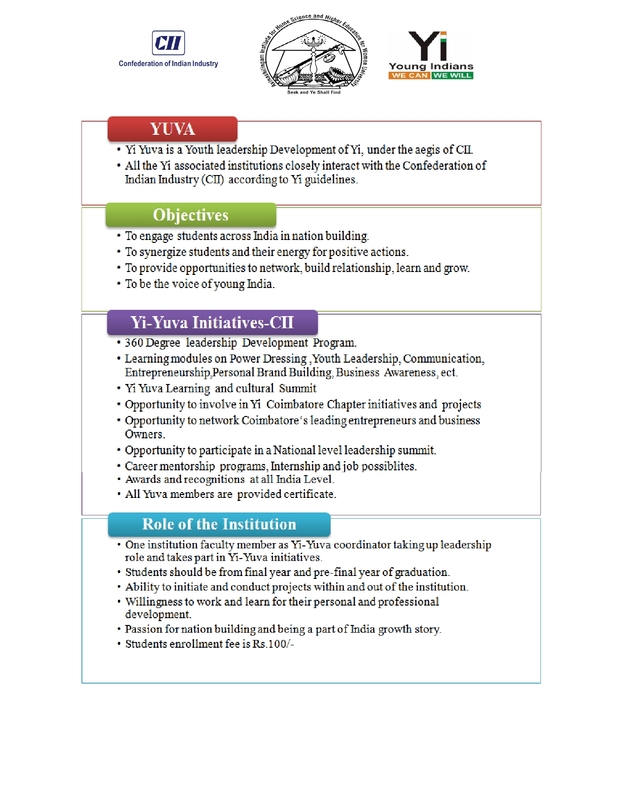 The Objective and endeavor of the Career guidance & Placement Cell is to motivate, train and facilitate students; in the process of making the passing out graduates and post graduates prospective with suitable career opportunities that are commensurate with the personal profiles and also guide the aspiring students for higher studies, prepare for competitive exams and facilitate industry institute interactions. It plays a very important and key role in counselling and guiding the students. 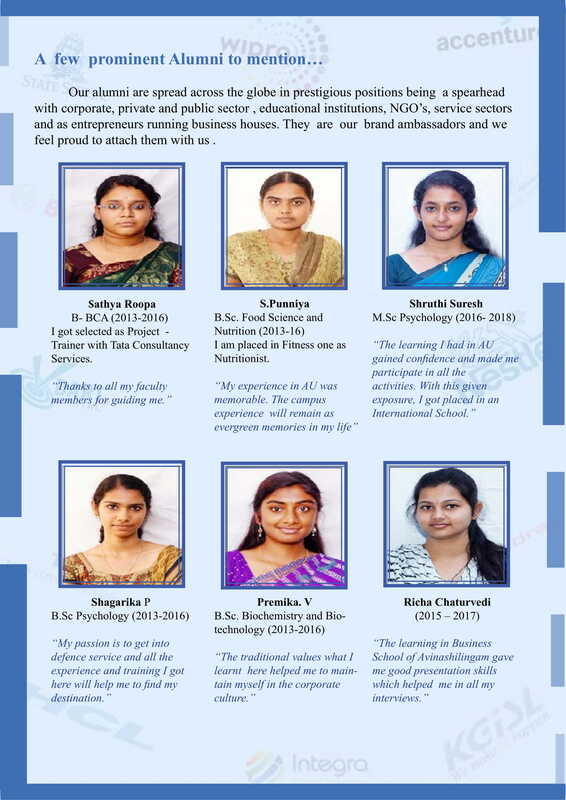 The placement cell in line with the university vision actively functions to empower women in all spheres. 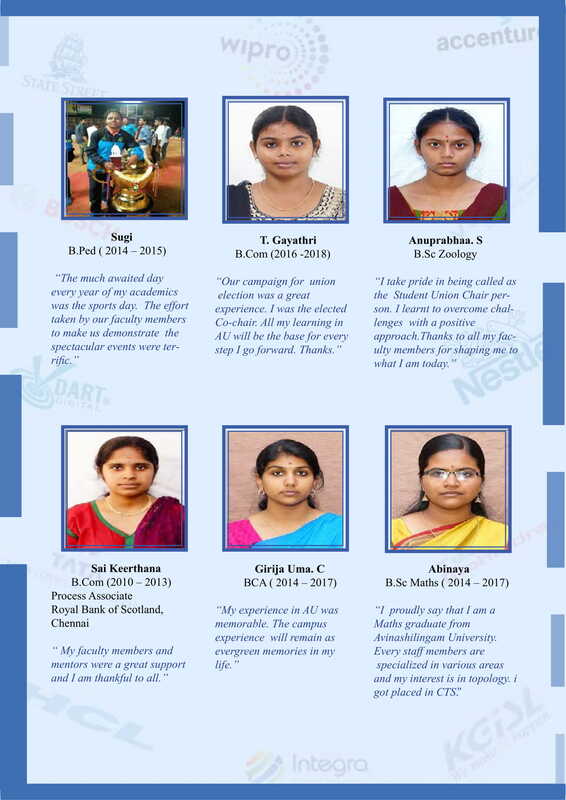 The support of the Career guidance and Counseling cell that the institution extends to the students makes them confident to perform better in their career. Counseling, thus addresses both the academic and the career concerns and opportunities. The institution inculcates a positive attitude and a value added service to the students. The spirit of offering guidance on sharing resources, awareness on availability of opportunities and facilities, information and guidance about market patterns and grooming the employability skills that help in building a base for the students is exercised through the career and counseling cell, as a result of socio economic integration. 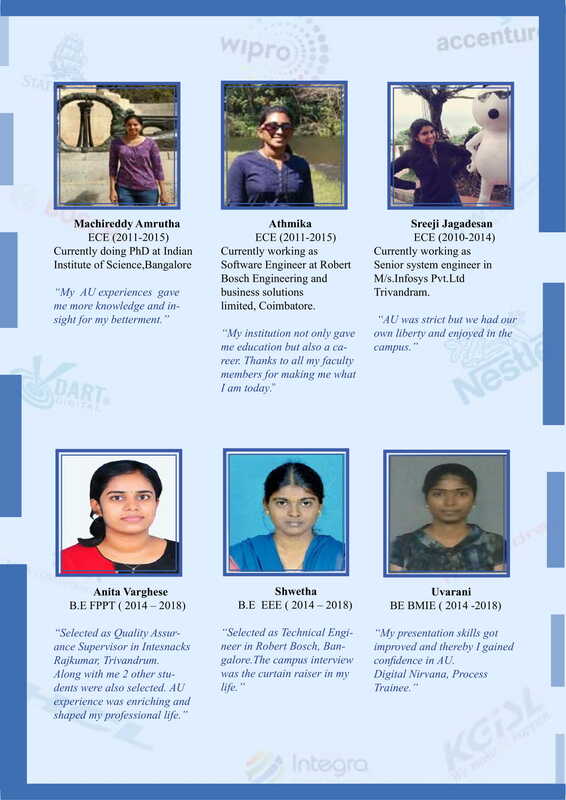 The support of the CareerGuidance and Counseling Cell, that the institution extends to the students, makes them confident to perform better in their career. Counseling, thus addresses both the academic and the career concerns and opportunities. The institution inculcates a positive attitude and a value added service to the students. The spirit of offering guidance on sharing resources, awareness on availability of opportunities and facilities, information and guidance about market patterns and grooming the employability skills that help in building a base for the students is exercised through the career and counseling cell, as a result of socio economic integration. The cell organizes industrial experts orientation to the students of all faculty to update the latest trends and industry pre-requisites. Domain based training programmes are arranged prior to the campus recruitment. Pre-internship programme is organized to make the students industry ready. Also, Earn and Learn programmes are arranged for the needy students. Training on aptitude and logical reasoning is an on going process for the final year students, which helps them to succeed in the quantitative tests during the campus interviews. Mock interviews and group discussions are also a part of the industry readiness programme. The cell organizes series of entrpreneurship programmes with the motto of facilitating students to become job creators rather than job seekers. Periodical understanding of the job avenues prevailing in the market is understood and programmes are organized to the students at par. Counsel and mentor the students in the career prospects in diverse fields. The Universitycampus has adequate and well equipped labs to conduct online test for a batch of200 students. Every possible facility required for the hiring process by the recruiters is facilitated. Facility to conduct online and offline test is made available in the campus. Adequate roomsavailable to conduct the interview processes. The placement cell liases with various industrial establishments and corporate houses, which conduct campus interviews and select graduates and post graduates from all disciplines. Step 6 Prior to the recruitment date need based orientation and training is arranged. Step 7 Organize the interview process as required by the organizations. Step 10 On-line offer letters are rolled by the company to the candidates selected and are facilitated for on boarding. Step 11 Students are advised to hold PAN Card and Passport and are also facilitated on this. Create and maintain a data-bank on profiles of passing out graduates. Notification regarding various competitive examinations like banking, State level and National level service commission exams etc. In understanding the industry expectations, all pursuing graduates are trained on soft skill, communication skill, aptitude training in the IVth and Vth Semester. Pre-placement talks, career awareness programmes, all notices of the service commission exams and competitive exams are brought to the notice of the students and are encouraged to apply for the same. Supporting training programmes are facilitated to the students. Need based training programmes are customized according to the requirements.Holistic training is given to the students in preparing them for placements. Plethora ofbooks on preparation for placements, competitive exams and higher education are made available for the students. English Lab To enhance language skills, communication skills, vocabulary, listening skills and pronunciation. Career Lab To impart crucial career skills to students to make them confident and successful in career, academics and in life. JAWS Read, Easy , Low vision feature pack. The average salary is Rs. 2 lacsp.a and the maximum salary is Rs. 6 lacs p.a. 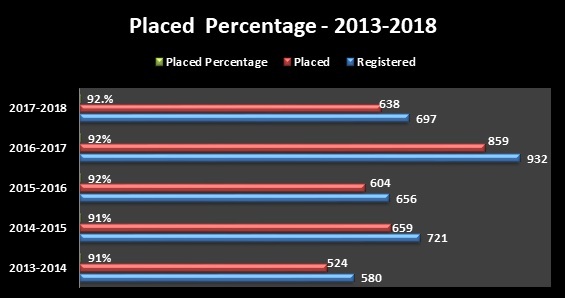 The placement activities areexecuted by the Advisor, Placement Officer & Counsellor backed by Staff Advisory Committee drawn from various faculties. Year on year, the placement activities are focused to improve by means of training according to industry pre-requisites and invite more companies for placements and also maintain symbiotic relationship with all the recruiters that the institution is associated with. The Placement Cell is assisted by Student Placement Coordinator who lead the team of placement representatives from various courses of study. 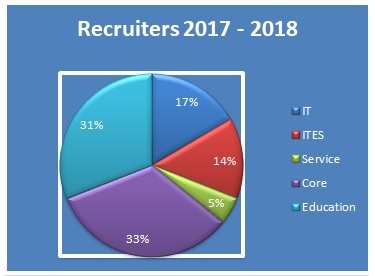 The Placement team takes immense pleasure in inviting all industry personnels to visit our campus to hire our final year graduates and post graduates who are ready to be hired and deployed with you in bringing their knowledge, talent and values from the campus to the corporate in following the organizational values and thereby strive for the growth of the organization and self.